Chromebooks have been garnering a lot of excitement. This is in party because they seem to fall somewhere in the middle – not as much of a workhorse as a desktop PC, but more so than a tablet. But is what they have enough to someday replace the desktop PC? Introduced in 2011, Chromebooks definitely seem to be catching on. They started out being sold by Acer Inc and Samsung, and later were also sold by Lenovo, Hewlett Packard and even Google. They do have one downfall – they’re designed to work while connected to the Internet, but a few apps do work in offline mode. Additionally, they only offer storage via the cloud. 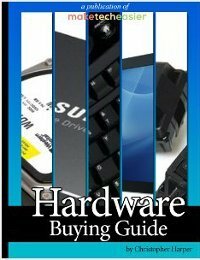 Peripherals such as mice and external keyboards can be added, but by the time you do that, is it better just to buy a desktop PC to begin with? Some users aren’t looking for more. All they want to do is precisely what Chromebooks are offering – browse the Internet, check email, play videos, and check the social networks. As referenced in the Make Tech Easier article “Should Microsoft Be Scared of Chromebooks?” Microsoft seems to be a little worried as they are producing commercials directly slamming Chromebooks. Are Microsoft’s fears substantiated? Could the the Chromebook someday take over the desktop PC, a market dominated by Microsoft? Or will it always be seen as a “lesser” product and never be able to make too much of a dent in the PC market? Can Chromebook replace the desktop PC? Chromebooks (and their imitators on the horizon) can and will take a huge chunk out of the home/personal laptop market. It’s more than my mom needs to play solitaire and click Like on Facebook. They will not even make a dent into the business world for multiple reasons. Security: Companies still don’t want their data in the cloud. They just don’t. Power: If you’re doing real work, you need real Excel. No, I meal REAL Excel, not some BS web app. Yes, you could get by with web apps, but just try taking MS Office away from people. The villagers will be at your doors with torches and pitch forks. The same goes for creative and multimedia apps. Aviary does not equal Photoshop. Enterprise Software: Does your company’s Payroll, Financial, Procurement, and Attendance system have a web app? Probably not all of them do. So no, the PC is a LOOOOOOOONG way from dead in the enterprise. People will buy the chrome books because they are cheap, new and a trendy product. But in my view, the love affair would not stay very long or adversely affect the full desktop business. See, what you could do with chrome book, you can do with desktop model and more. People like to have more rather than limited approach that chrome book offer: You need a browser Period !!! 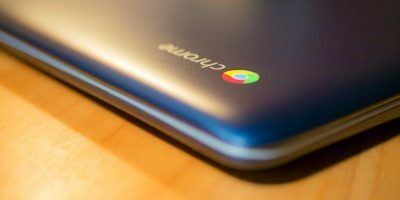 If chrome book becomes a serious challenge, then it is all good because all the products competing with it will be better including the Tablets, Laptops and Even Macs. Yes, as with netbooks people gravitate towards cheap if they feel it can provide enough function for them. Its why Apple fans have turned somewhat to iPads rather than Mac’s. Its why Microsoft still fails at the Surface because its partners offer cheaper alternatives. All you have to do is look at what people can afford and how much technology they want. Smart phones, tablets, laptops, Chromebooks. It used to be a flip phone and a desktop PC. For many users, a browser is what they use most on a computer. So Google decided a Chromebook just needs to focus on that. 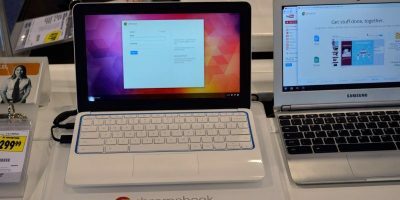 I still am not sure that the Chromebook won’t fail because it does not do enough, or it simply fades because a PC maker offers a Windows model for similar pricing. No doubt that right now with a weakened economy cheap is in. Techies and business people will always answer from their perspective, and that will always be pro-Desktop/laptop (full OS, full capability). They can’t imagine any other use case and hence, the comments above. Meanwhile, people vote with their pocketbooks and actually USE these devices and are completely satisfied with what they offer because – truth be told – they don’t actually want more. The price is right, the thing boots up quickly, is reasonably “impervious” to the usual nasties, won’t slow down, won’t incur further costs (AV protection, software and OS upgrades – all free on the Chromebook) and hey, most of these units allow you to plug in a 16 gig stick for storage. And non-techies and casual users, such as yourself, will always answer from THEIR perspective. And never the twain shall meet. At the present level of technology Chromebooks are great for those that only use a browser and occasionally a light word processor. For those for whom a PC is a work tool, Chromebooks are woefully limited in their capabilities. And you are locked into the Google Universe of applications. While to you that may sound like an embarassment of riches, when was the last time you had to work with a 200GB or a 500GB or a Terabyte-sized database? A 16 gig of storage just ain’t making it. An analogous question “Will XYZ replace the mainframe” has been discussed since the introduction of minicomputers. It was asked again when the client-server paradigm was introduced and again when PCs came on the scene. Each time the pundits and users who did need mainframes tried to condign them to that Big Junkyard in the Sky. And each time mainframes came back as strong as ever. Each time their numbers were reduced but they came back. There are some tasks for which only mainframes are suitable, just as there tasks for which Chromebooks are eminently suitable. The real question based on what many comments say is that Chromebooks do what many people need. But from a consumer point of view, what about those tied to iTunes, or Skype, possibly a game online which Java does not work on Chromebooks. I find as many people frustrated by a Chromebook as ones who love it. I think it really depends on if you are tied to another ecosystem like Apple’s. Or if you are more fluid and can accept what Google has to offer. As one big Chromebook fan said ” There is alternatives to iTunes and Skype” But my response would ask. Do people want alternatives? Or do they want what they want. This is what I was thinking a few years ago and postulate it as the future of computer interaction. I own a Samsung Chromebook in addition to my desktop. There are two major reasons why I couldn’t use a Chromebook full time. 1. Gaming – My wife and I game a lot and the PC is our platform of choice. We will likely always keep our powerful desktop rigs around for that. 2. Internet – We don’t live near any major metro so our internet connection is fairly horrible (9/.75). This means doing everything online simply isn’t a good option. There are a lot of great web services out there but it honestly takes far too long to upload content, edit it then re-download it to make them viable replacements to local software. How am I supposed to use if it doesnt even translate to Korean? I own a Samsung Chromebook. I bought it on sale for around $200. It was refurbished but worked a few months then the WiFi died. I sent it to a Samsung repair depot and they lost it. I managed to get a refund and few months later bought a new one. I find the Chromebook useful, but its not replacing my laptop. I have issue with its weak ARM CPU that was probably bare minimum performance when new. Now has begun to show its limited ability to age gracefully. This is not just a Chromebook thing, but with any cheap technology it does not hold up with age. I find it odd schools have adopted Chromebooks because I think they will expect a longer shelf life than a cheap Chromebook will provide. Again, they probably looked at the initial investment as being a bargain. Its not that I discount Chromebooks as being bad or non usable. They just don’t provide staying power in the sense that their hardware dates itself quickly and that you can buy a Windows PC for just a little more that does more. The next generation of Chromebooks are making this case worse as they approach the $300 plus price point. For me the Chromebook will continue to be a quirky cheap web access device that will have its niche in the market place as long as cheap is in.